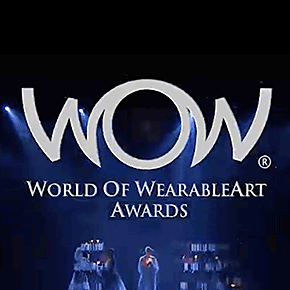 The World of WearableArt (WOW) Awards Competition is an internationally renowned design competition that attracts entries from over 40 countries each year. Anything that is wearable art can find a place on the stage, as long as it is original, innovative and well executed. For the audience, WOW is a feast for the eyes, where fashion, art and theatre collide. For the designers, it’s an opportunity to create a work free from commercial restrictions, to go on a creative journey with their peers and to have their talent recognized. Designers can come from the worlds of fashion, textile or industrial design, jewellery, architecture, engineering, sculpture and painting, or homemaking.